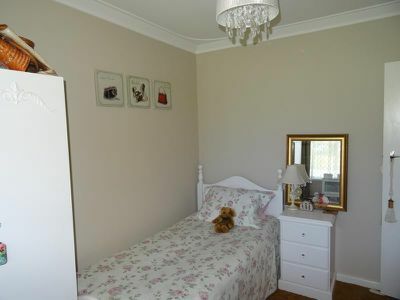 A Touch of Art Decor in this bright and spacious, well loved home, with room to build another at the rear. 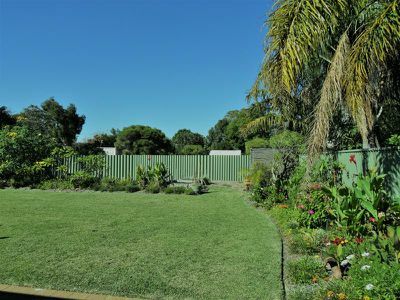 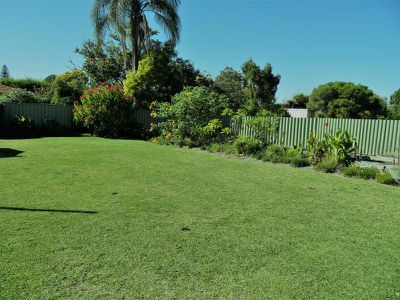 The whole land area is 898 sqm, having the approval for a survey strata subdivision while retaining the original home for building another in this generous rear Lot, A great portfolio investment indeed. 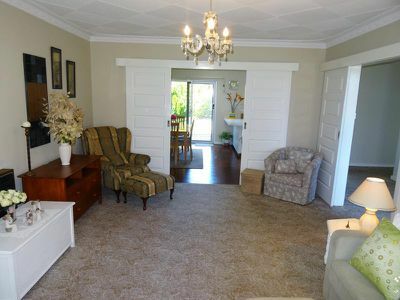 The front original brick and tile home features some well designed modern upgrades, tuning into the art decor era. 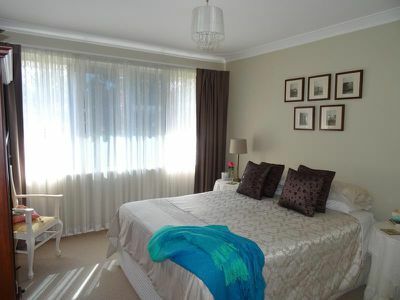 Natural light and space pervades the generous living areas and bedrooms. 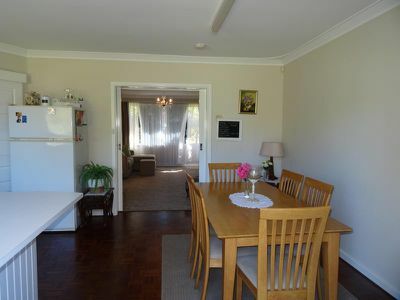 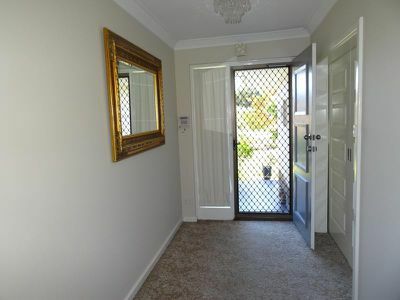 The upgraded designs feature modern sliding doors within the the wide entrance leading to spacious lounge, with further features of wide windows, high plaster glass ceiling, and going on further to the separate dining area with the formal kitchen area both overlooking the garden features of easy care lawn and bordered gardens. 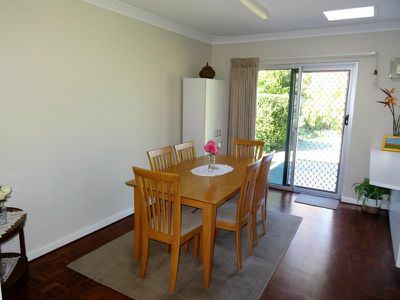 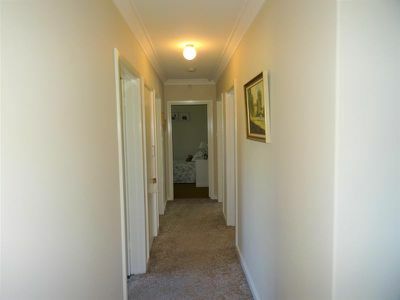 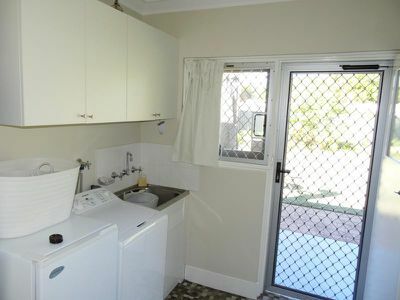 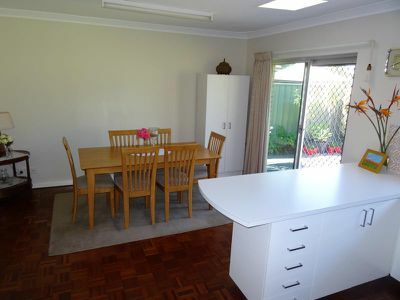 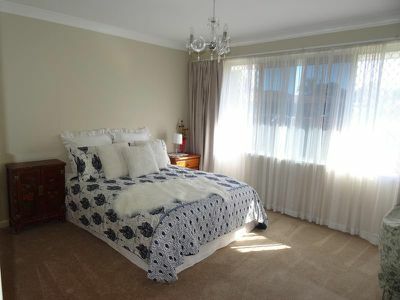 Further along the passage are the spacious 3 bedrooms, with bathroom and laundry areas conveniently to one side. 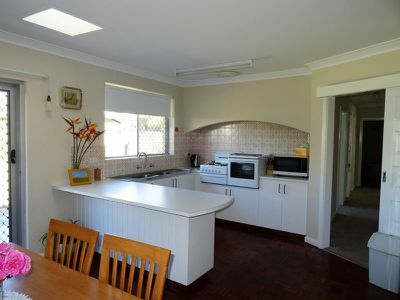 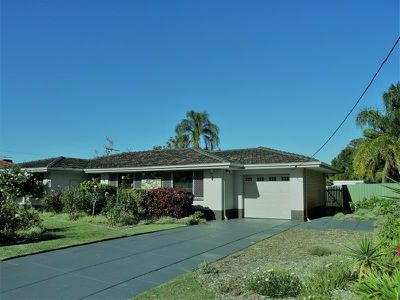 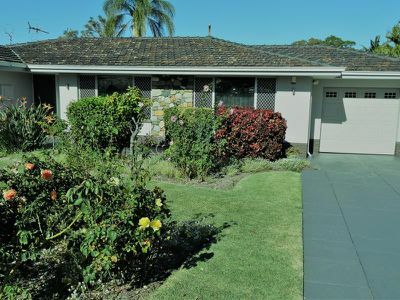 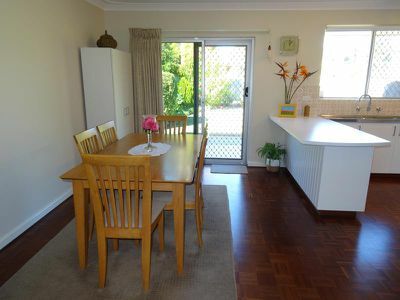 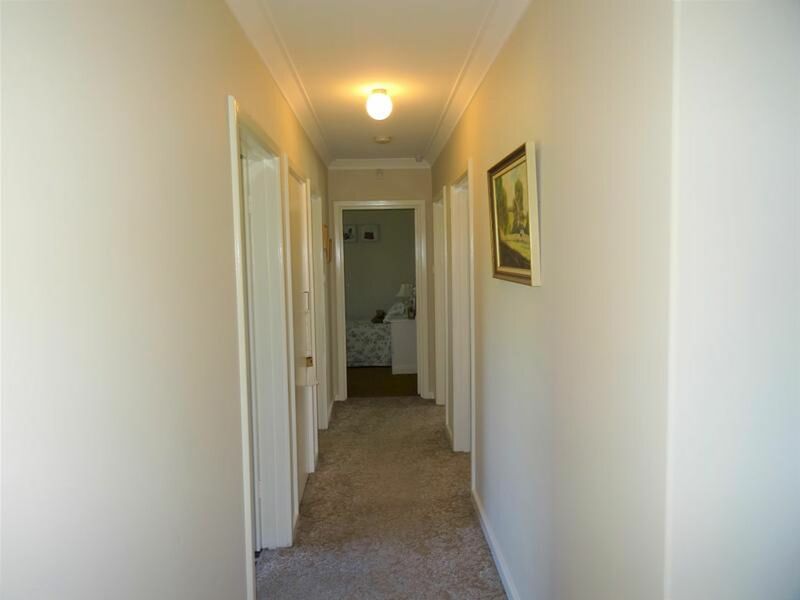 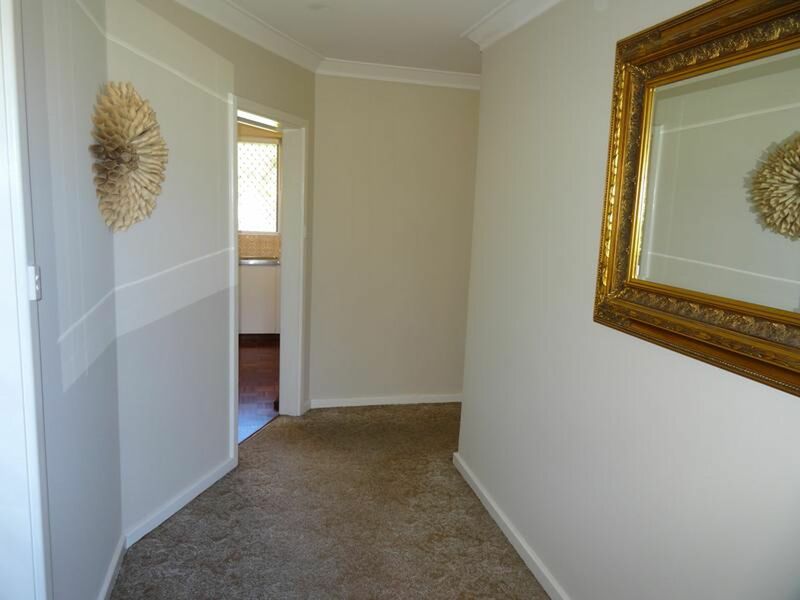 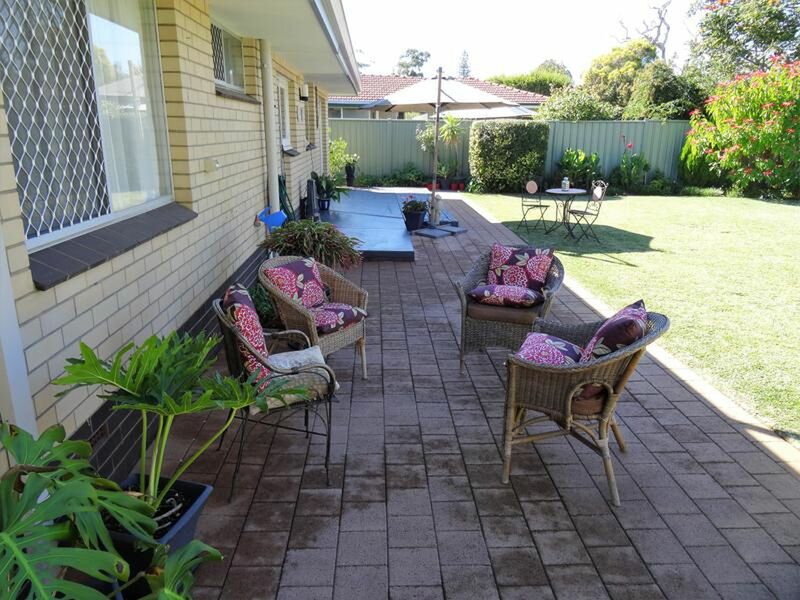 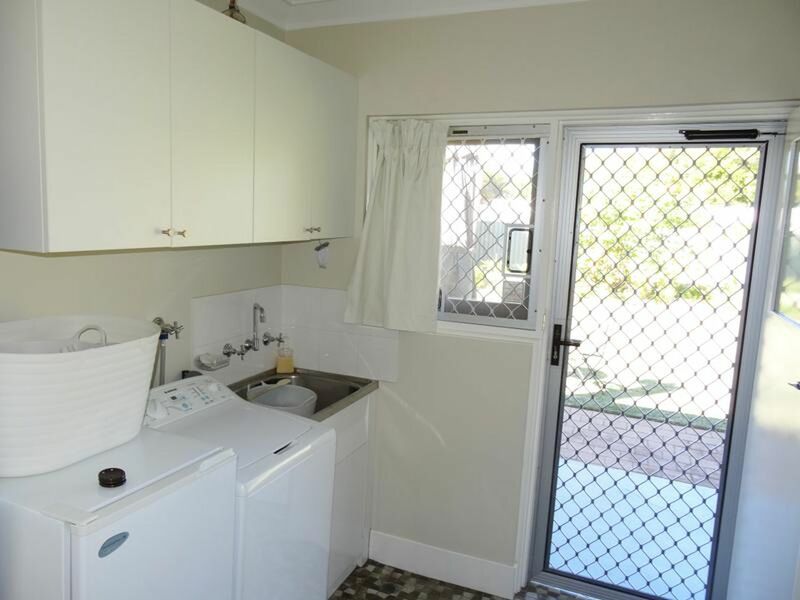 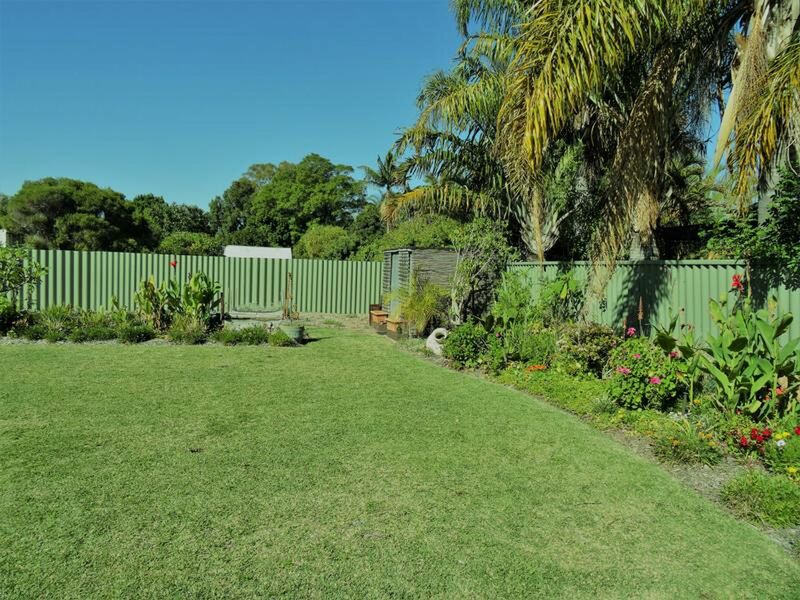 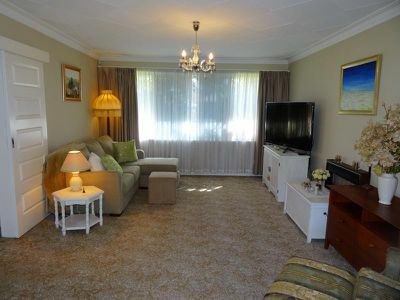 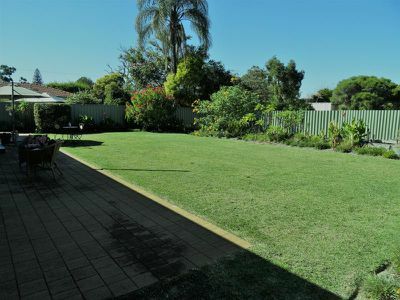 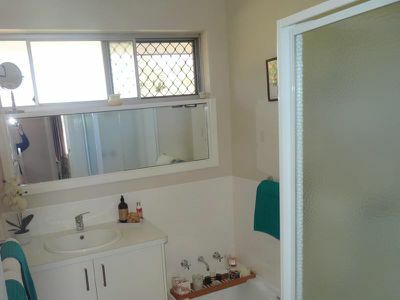 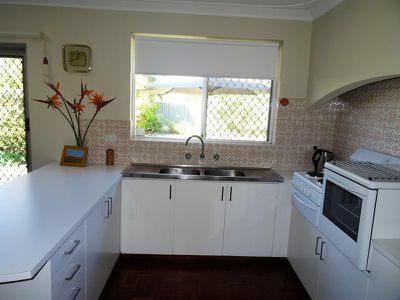 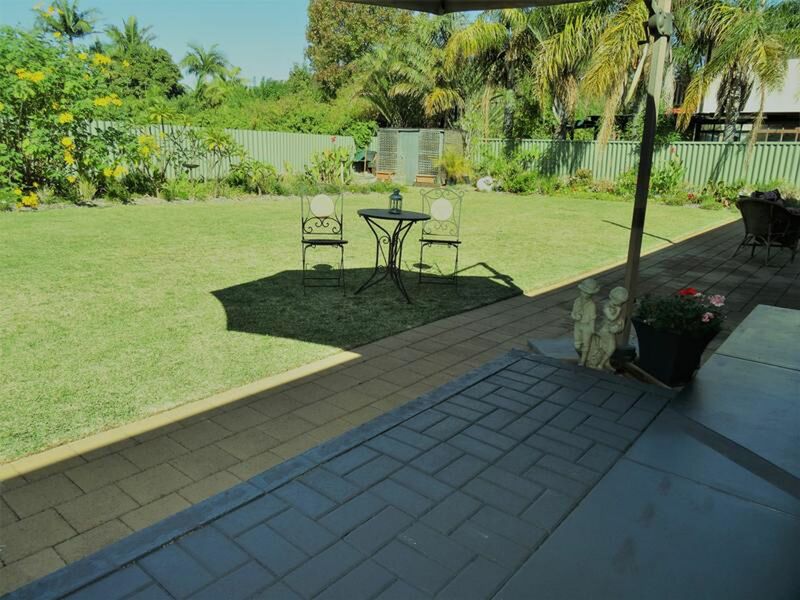 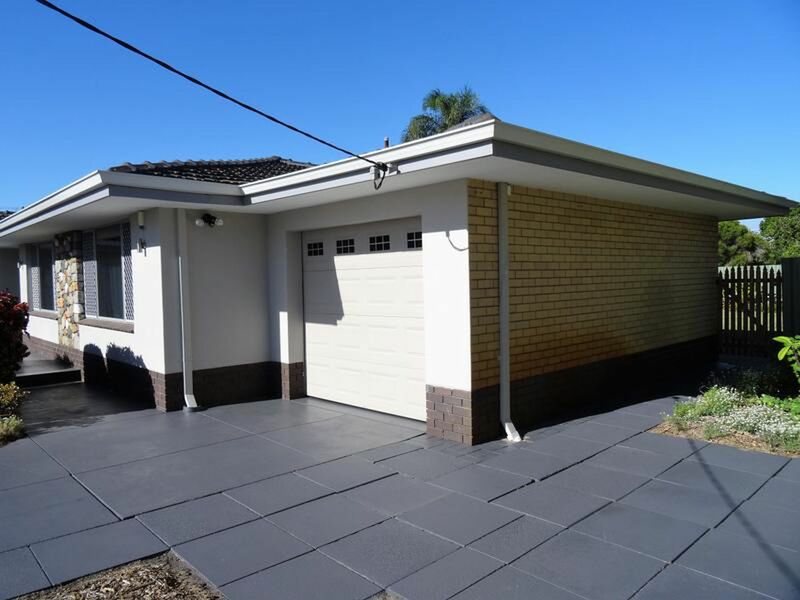 There is bore reticulation front and rear, gas heating, good soft furnishings, monitored alarm, security doors, garden shed, access on both sides of the home, reverse cycle air conditioning, sensor lights, lock up garage and great parking for family and friends. This well balanced home overlooks the beautiful easy care lawns, bordered flower gardens, paved patio areas, and ready for the astute buyer seeking a great home and a magic investment, all 'ready to go'.